I know we’re all busy studying the minute differences of the new 2019 Porsche 911 and enjoying the very early accidental reveal of the 2019 Jeep Gladiator pickup, but if you want to cleanse your palette with something British and beautiful, this Aston Martin Vanquish Zagato Shooting Brake in cool gray’s got you. 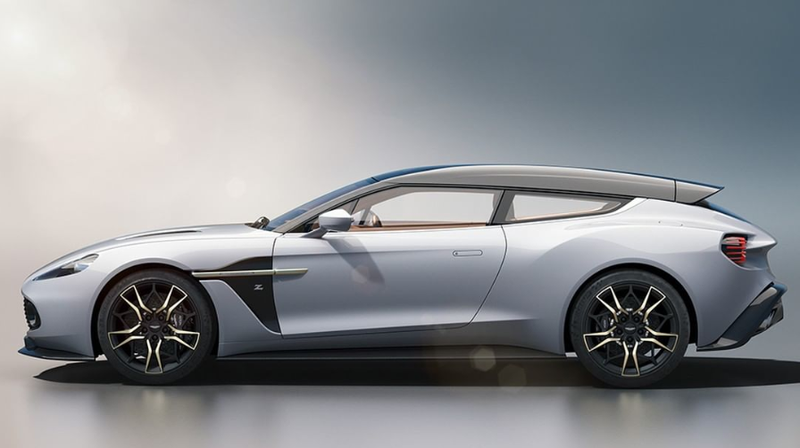 Aston Martin Lagonda Instagram has offered up the Vanquish Zagato Shooting Brake in a new grayish-white color, which better shows off its dramatic lines and blade-like roof glass. Aston Martin doesn’t need to show us these things—it’s only making 99 of them and I’m almost positive none of us are getting one. Aston probably just wants to rub in how much of a design heavyweight it is right now with arguably the lineup’s most exotic looking car. The Vanquish Zagato Shooting Brake is a two-seater long-roof sitting on the same 580 horsepower naturally-aspirated V12 as the regular, boring, pedestrian Vanquish that is no more. When I die, I want you all to make me into a beautiful shooting brake final edition to celebrate my life. If that’s too much to ask, just bury me in one of these.